While the origins of human enhancement drugs (HEDs) date back over 100 years, the drive for human enhancement has been insatiable and continues to grow. Millions of people take human enhancement drugs (also known as ‘performance and image enhancing drugs’ or ‘lifestyle drugs’), from elite level athletes and sport and exercise enthusiasts, who hope to further their athletic aspirations or achieve better bodies, to working students and adults seeking to get ahead in their studies or careers, to everyday men and women seeking to defy the ageing process or who are generally interested in healthy living and well-being. However, the legality of human enhancement drugs is not so black and white, and the fact remains that certain compounds sold can have serious health consequences. Some enhancement drugs, such as vitamins, minerals and supplements are bought and sold legally on the open market in many countries, while others such as methylphenidate or testosterone fall into a semi-legal category in that they may be available by prescription, while still yet others such as 2,4-Dinitrophenol (DNP) or ephedrine are illegal and available only on the black market. The precarious legal position of human enhancement drugs means that the sale of these substances is ripe for criminological inquiry while their widespread availability means human enhancement drugs are likely to become a growing public health issue. The goal of the Human Enhancement Drug website is to provide evidence-based information on the growing field of human enhancement drugs. In particular, we aim to serve as a valuable knowledge base for those interested in human enhancement drugs, while also provoking critical discussion of human enhancements drugs from a public health, sociological and criminological perspective. 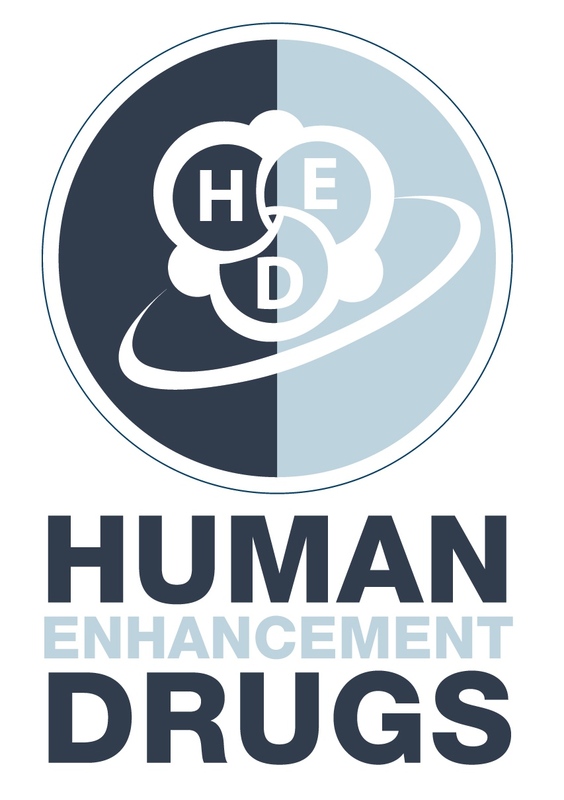 To this end we have created the Human Enhancement Drugs Network (HEDN) as a means to strengthen working relationships between academic sectors, governmental agencies, NGOs, users groups and others interested in human enhancement drugs. We, therefore, invite you to engage in critical discussions, to share knowledge and to address important issues in the field of human enhancement drugs.